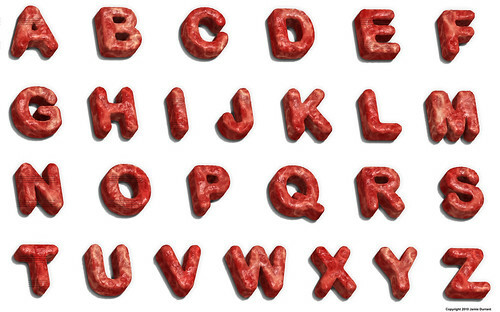 Are you yearning for a meatier typeface ? Does your font need to be fleshed out ? Well, you’re in bloody luck ! Did this for a project of mine, but I thought I’d share it with you. I give you the Meat Alphabet ! Ok, last one for today. Felt this one had more of a German Expressionistic feel to it.